ForexTime (FXTM) is a popular Forex broker and Crypto Currency CFD trading company, that is owned by ForexTime Limited. They are officially located at: FXTM Tower, 35 Lamprou Konstantara, Kato Polemidia 4156 Limassol, Cyprus. Their main phone number is +44 203 734 1025, and their email address is: info@forextime.com. Investors at FXTM have a variety of trading platforms to choose from including the latest MetaTrader5, MT5 Pro, MetaTrader4, MT5 Web Trader, VPS, and the iOS & Android MT4 mobile apps. Available for trading is more than 250 assets in all categories of Currency pairs, Commodities (Gold, Oil, Silver), Shares, Market Indexes and CFD’s. Crypto Currency pairs; Bitcoin, Ethereum, or Litecoin were listed for trading since December 2017. Copy trading is available via FXTM Invest with strategy managers from around the world. 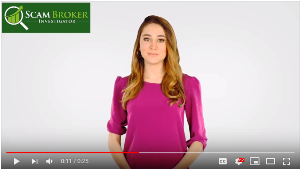 A variety of bonuses are offered at the broker, and it seems that 30% is the standard for 2019. Naturally you can test out the broker with a free demo trading account, or just get a new trading account with a small deposit of only $100, register here. ForexTime is licensed and regulated by CySEC in Europe, with license number 185/12, see here. In the United Kingdom they are licensed by the Financial Conduct Authority (FCA), license number 777911. Outside the European Union, FXTM is owned by Exinity Limited and regulated by the Financial Services Commission of Mauritius. Their FSC license number is C113012295. Each broker appeals to a different type of investors. 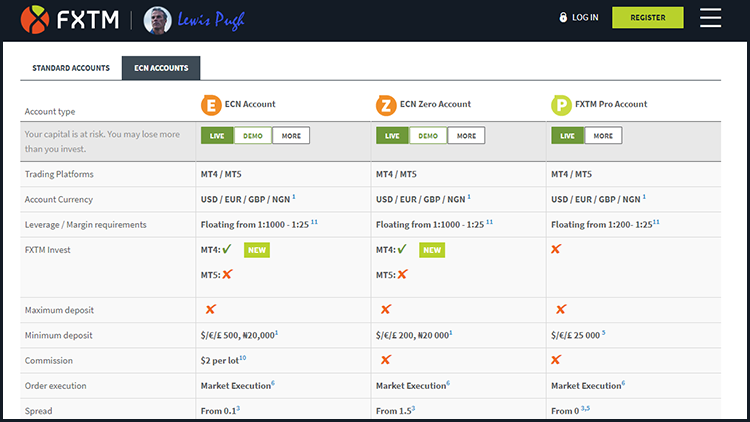 Many investors have multiple trading accounts, depending on the brokers services. Here are some of the most popular brokers today. Pepperstone is a very popular online broker that offers razor thin spreads on a variety of assets, see here. You can try their MT5 or cTrader platform, with a Free Demo Account, signup here. ForTrade is the best Forex broker in England, that is licensed and regulated by the FCA. They have an awesome trading platform which you will love. Learn more at: ForTrade.com.